Martha Van Oot is a Partner in the Portsmouth, New Hampshire office of Jackson Lewis P.C. 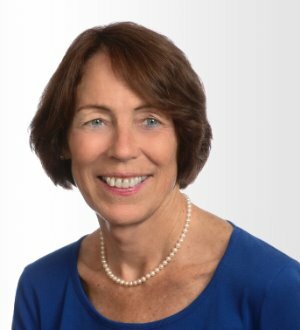 A former prosecutor in the New Hampshire Attorney General’s Office, Ms. Van Oot has extensive trial experience in state and federal court with an emphasis on employment and commercial litigation, including the defense of discrimination, wage and hour and wrongful termination claims, the enforcement of non-competition and trade secret agreements, and business tort litigation. She has argued numerous cases before the New Hampshire Supreme Court and the First Circuit Court of Appeals. Van Oot frequently serves as a panelist on employment, trial practice and ethics for continuing legal education programs, and as a mediator for the federal district court and the New Hampshire Commission for Human Rights. She has been active in nonprofit organizations throughout New Hampshire, including the New Hampshire Endowment for Health, Granite United Way, a state-wide United Way resulting from recent the merger of several local United Way organizations, and the Norris Cotton Cancer Center.